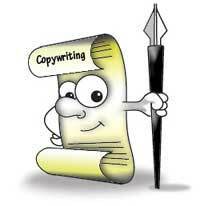 Not sure of the value of a professional copywriter? Everybody thinks they can write, and to a degree they have a point. Anyone can write. Most people can add, too, and know how to use scissors. But that doesn’t necessarily mean they’re equipped to prepare their own tax return or cut their own hair. As veteran copywriters, we’ve seen firsthand how poorly constructed writing can derail your communications and position your brand in a less than stellar light. Imagine an ad for an Ivy League college began with the headline, “You Can Never Have To Much Knowledge.” Readers would view the typo as a reflection of the school and the quality of the education they might receive. This is the type of mistake spell check doesn’t catch. But effective copywriting is about much more than mechanics. Most businesses don’t know when it’s better to use short, snappy sentences versus long-form copy. Or how to incorporate keywords into a blog post to boost the chances it will rank in organic search. Or why headlines are more effective when you use sentence case rather than initial caps (another strike against our fictional Ivy League example). Good news — an experienced copywriter knows all that and more, including how to boost conversion rates with targeted, high-value content. So, in the age of “content is king,” why should you hire one rather than do-it-yourself? Content is critical to top rankings in Google. Here’s why you may need a professional copywriter. Copywriters are a quick study. A professional copywriter knows the ins and outs of writing for various industries and is skilled at quickly getting up to speed on a new subject. Regardless of the topic, we also know the right questions to ask to uncover valuable market differentiators and showcase your product or service in the best possible light. Business owners are often so immersed in their product/service/industry, they find it hard to step back and be objective. As a result, you might not be doing your business any justice when it comes to writing content that generates leads and sales. It’s the copywriter’s job to get inside the head of your ideal customer, understand what motivates them to buy, and turn your product features into irresistible benefits. Copywriters can help you make the most of your content budget. Today’s copywriters don’t just write; we strategize ways to give you the most return for your content marketing investment. For example, you’d like to develop an e-book and a landing page to capture leads. 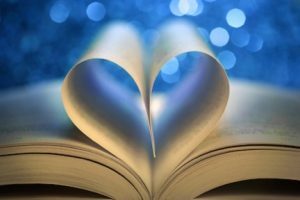 But you may not think to craft each section of the e-book so it can also serve as a stand-alone blog post. Or turn a hefty research report into a series of quick-read infographics that appeal to more visual learners. We understand the sales process. Your content marketing should be leading prospects down the sales funnel — bringing them step-by-step closer to a purchase. By digging into how your buyers buy, we can produce content that answers questions and addresses concerns at the right time in the sales cycle. The result? 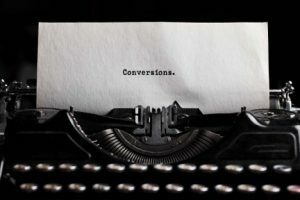 Higher conversion rates. Writers understand the power of language and storytelling. Do you know the words or phrases that can maximize response? Or that a single user story can be exponentially more memorable than a laundry list of features? From anecdotes and word play to sentence structure and even punctuation, clever content strategies are second nature to experienced copywriters — and we can implement these tricks of the trade to engage your customers and build your brand. We leave the grammar mistakes to the amateurs. Whether it’s a typo, a mixed metaphor or random capitalization, even the most minor mistake can ruin your credibility. Most copywriters are also skilled proofreaders, so your marketing content is as flawless as it is persuasive. There’s no doubt that creating and distributing consistent, high-value content is a significant commitment. But the value is clear — research from Aberdeen shows that those who become authorities based on content receive nearly 8X more site traffic than those who don’t. The right copy partnership is a collaboration, helping you cost-effectively leverage your professional expertise without wasting countless hours crafting subject lines, calculating keyword density or writing compelling tweets. For us, it’s all in a day’s work — and lets you focus on what you do best. 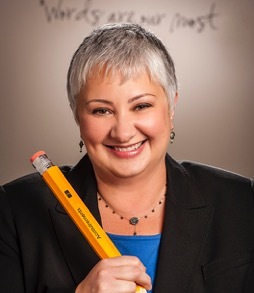 Lisa Fahoury is Chief Creative Officer of Fahoury Ink, a New Jersey based content marketing agency that provides B2B and B2C content strategy and development services to mid-market companies. The former creative services manager for the New York Daily News, Fahoury is also an in-demand speaker and corporate trainer on content marketing. When she’s not creating content, she spends her down time plotting to win the Pillsbury Bake-Off and convincing her husband that three cats really did seem like a good idea at the time. Your website search rankings have been earned through time and a significant amount of effort. There are a number of situations where a change to your website runs the risk of jeopardizing those rankings. Any of these changes involve a very real risk of losing your hard-earned search rankings. When the URL (the website address) of any of your pages changes, all of the links that pointed to that page still point to the old URL. That means the new URL suddenly has no external links pointing to it, and link authority (domain authority, page authority) drops to zero. That link authority is a critical part of your search rankings. When it drops to zero, so does your Google ranking. When you begin any website maintenance that’s going to change your URLs, you need to pay special attention to protecting your SEO by protecting your inbound link profile. How to protect your link authority after a website redesign. A 301 permanent redirect is something your web designer should be well familiar with. It tells anyone looking for an old URL where to go to see that information in its new URL. 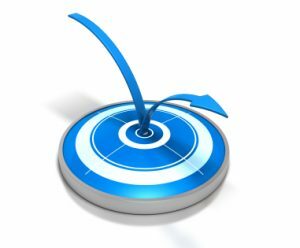 Unlike other ways to redirect people, the 301 redirect also allows the new URL to inherit the link authority that had been earned by the old page. So the first step is to compile a list of the URLs of all the pages on your site before you switch over to the redesigned version. Next to each one, annotate the URL of the new version of that page. If any of your old pages are disappearing, annotate the URL of the closest matching page in your redesigned website. If there really isn’t a matching page in your new website, then use the URL of your home page. Each of those pairs of URLs represents a unique 301 permanent redirect which your web designer needs to create. Those need to go into effect at the same time as your redesigned website goes live. If you want to test any of your 301 redirects to make sure they’re working properly, there’s a redirect testing tool here. The inheritance of link authority isn’t instantaneous, so expect a loss of rankings for a few weeks. But there are some things you can do to combat that. For any of your inbound links with whom you have a personal or professional relationship, contact them and ask them if they would change the target of their links to point directly to the new URLs. that can work to speed up how quickly your rankings will return. And as always, link building should be an ongoing activity. New links to your new URLs are very important after a website redesign. Why Did Your Nice, New Website Destroy Your Search Rankings? This is an update to our original post from 2007. Your perspective adds to the value here. Let us know what you think in the comments section below. Did you find this helpful? If so, please share it with the buttons on the left or the Click To Tweet above. 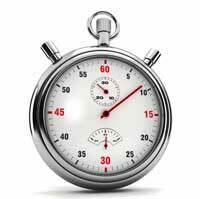 Page speed: the time it takes to fully display the content on a specific web page. Bounce rate: the percent of visits to a site that look at only one page. … the average bounce rate for pages loading within 2 seconds is 9%. As soon as the page load time surpasses 3 seconds, the bounce rate soars, to 38% by the time it hits 5 seconds! This graph illustrates the bad news. As page download time increases beyond 3 seconds, bounce rate increases dramatically. If your goal is for visitors to take an action on your site, such as filling out an information form, contacting you, or buying something — then bounces represent lost customers. It’s been well known and reported here that page speed is a ranking factor at Google. We began warning about it way back in 2009. All else being equal, a fast downloading page will outrank a slow page. We’ve also pointed out that a high bounce rate is a negative ranking factor on Google as well. Frightening fact: Slow web page speed drives up your bounce rate. We explain. Update June 2018: If your market is international, it may help to know what your page speed is overseas. I recommend a test at DotCom Tools that will test your page speed at over 20 international cities. The frightening thing about all this is that these two negative ranking factors compound one another. It’s bad enough if you suffer a ranking penalty because your page is slow. But that slowness raises your bounce rate, resulting in a double-whammy to your ranking in Google search results. Our recommendation is to work to make sure your pages all download within three seconds at the most. Two seconds is ideal, but three seconds is usually tolerable. We always welcome your perspective. Let us know what you think in the comments section below. We offer a free SEO review of your website, including page speed and many other factors. Call us and let’s set it up. Is Speed a New Factor In Google Rankings? Google Improves Flash Handling – Is It Enough? When someone is looking for what you do, you need them to find you. Typical SEO is great for getting you to show up prominently in the search engine results. But Google has been changing and you have additional opportunities to get found. This includes on-page optimization for the keyword phrases customers use most when looking for what you do, and off-page link building to improve your website’s online “authority”. This is what it sounds like: how close your location is to wherever the searcher is searching from. Clearly you can have no influence over this. 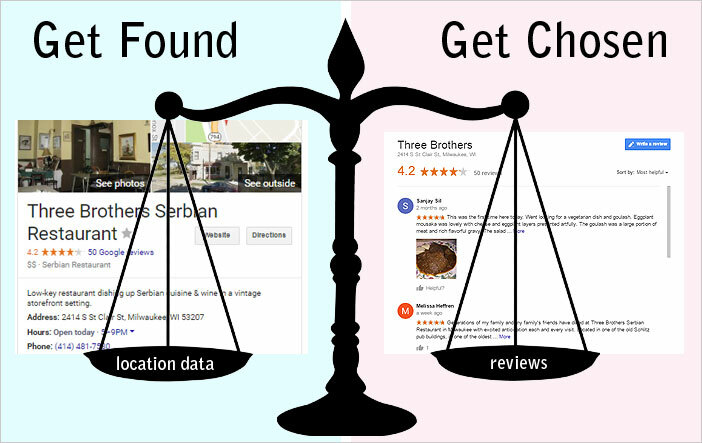 This relates to your online citations: how broadly across the web your location data is listed and how consistent it is across dozens of local search engines, directories, maps and apps. 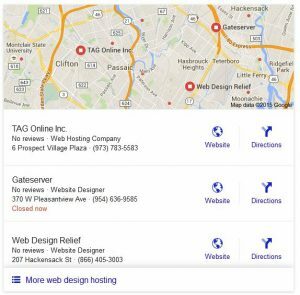 How to show up in Google’s Local 3-Pack when people search for what you do. At Rank Magic, we’re experts in Local SEO for small and very small local businesses. And we have a simple solution for ensuring your prominence across the most important locally focused sites across the web. Reach out to us for a free SEO and prominence consultation about your business. Once you’ve optimized your location data and customers can easily find you, the next step is to get them to choose you. Research shows that 91 percent of people regularly or occasionally read online reviews, and 84 percent trust online reviews as much as a personal recommendation. 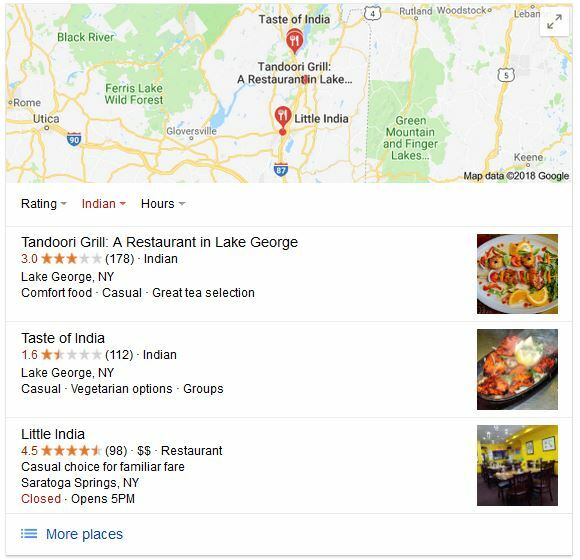 With that in mind, take a look at the Local 3-Pack on the left for someone looking for an Indian restaurant in upstate New York. Which would you check out first? Most likely you would choose the one with 4.5 stars rather than the one with 1.6 stars. And if one of the restaurants listed had no reviews at all, odds are that would be your last choice. It’s pretty clear that your online star ratings can have a significant impact on your business. If you don’t have a strategy for encouraging positive reviews from your customers, now is the time to start one. At Rank Magic we have a simple program to generate positive reviews and balance them across the top rating sites like Google, Facebook, MerchantCircle, Yelp, and more. Contact us to learn more about how our solution can drive more customers to your business. In fact, we have a free scanning service. Now you can see how good your own location prominence and reviews are. There’s no obligation, and did I say it’s free? Just click here to run a free scan of your local listings. Join the conversation with your opinions and experience in the Comments below. 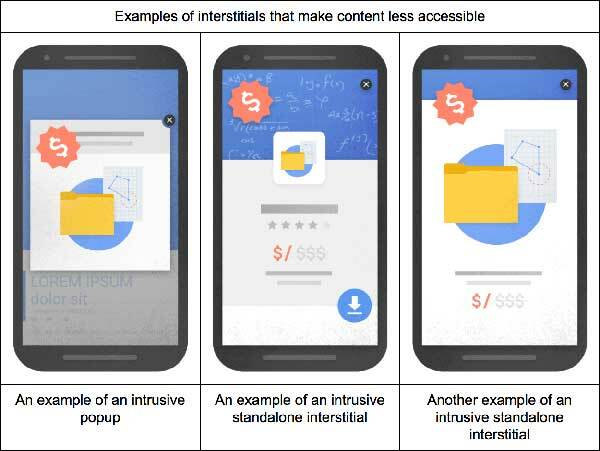 Does Your Site Use Intrusive Interstitials? Better Not! An interstitial is an ad that appears in between two pages. Sometimes they can appear before the home page on your site. Often interstitials are pop-up ads, but sometimes they will be helpful, like an offer to chat with a live person. An interstitial ad is a form of interruption marketing used by advertisers who want their ads to be more like broadcast ads. Many interstitials are just fine. But you want to be sure your interstitials aren’t intrusive. What’s wrong with an intrusive interstitial? An intrusive interstitial or pop-up ad is one that annoyingly blocks all or most of a page. This is more problematic on mobile sites where there’s much less screen real estate. With less room on the screen it’s very easy for an interstitial to be considered intrusive. One thing intrusive interstitials do is that they annoy your visitors. That’s a bad thing in and of itself, especially if it’s annoying enough to drive the visitor away. They also slow down the loading of your site because it’s extra material to download into a phone or browser. You need to avoid intrusive interstitials on your website! It’s been well known for years that Google favors fast sites. If your interstitial is slowing down the display of your pages, that might hurt your ranking. But even beyond that, Google hates them. Google announced about a year and a half ago that at the beginning of 2017 intrusive interstitials would negatively affect your ranking. And here at Rank Magic we are always concerned about the health of your rankings. Banners that use a reasonable amount of screen space and are easily dismissible. For example, the app-install banners provided by Safari and Chrome are examples of banners that use a reasonable amount of screen space. Please join the conversation and share your observations in the Comments section below. If you’re struggling with your online visibility, please call us. Because at Rank Magic, we can fix that! Should You Avoid Hidden Content?